Agastache, Coreopsis, Echinacea, Gaillardia and Catnip. 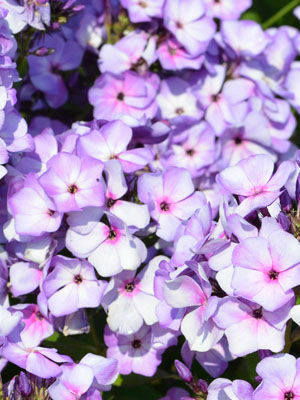 Annual phlox is a heavy bloomer that looks best when grown in clumps or masses. It is an excellent flower to naturalize along fences, or you can include it in a wildflower meadow. Annual phlox attracts butterflies and beneficial pollinators. In warm climates, annual phlox sometimes reseeds but it is never invasive. Colors include rose pink, white, purple and light pink. In humid climates, powdery mildew often appears on tired plants in late summer.